Craig Watson, originally from Smithville, TN, is a bass trombonist, founding member of Tromboteam!, and current D.M.A. candidate at The University of Southern Mississippi. Mr. Watson holds a Master of Music degree from the Yale School of Music. While at Yale he performed in many ensembles, was a founding member of the Yale Trombone Quartet, and was an active freelancer in the New England area. Mr. Watson received a bachelor’s degree from Tennessee Technological University where he was a member of the Bryan Symphony Orchestra and made a number of commercial recordings as a member of the TTU Symphony Band and TTU Trombone Choir. From 2007 to 2009 he could be heard in hundreds of performances as the trombonist of the Cumberland County Playhouse Orchestra in Crossville, TN. Craig has studied with Scott Hartman, Susan K. Smith, Joshua Hauser, and Ben McIlwain as well as participating in master classes with Joseph Alessi of the New York Philharmonic, Toby Oft of the Boston Symphony, Weston Sprott and Denson Paul Pollard of the New York Metropolitan Opera, David Ridge of the San Francisco Opera and Jeremy Wilson of the Vienna Philharmonic. In the summer of 2010 Mr. Watson attended the inaugural 100 Years, 100 Trombones festival in Colombia, South America as a clinician and performer, both as a soloist and with the Yale Trombone Quartet. 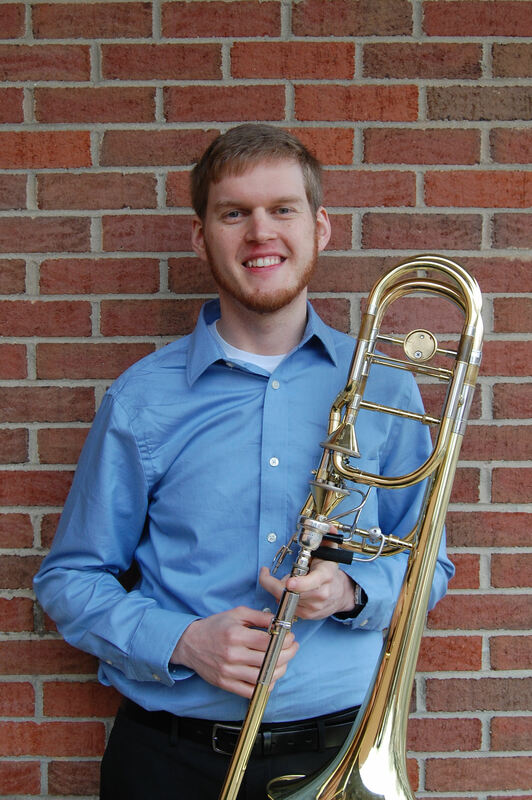 Craig was a bass trombone fellow at the 2011 Alessi Seminar and a member of the performers class at the 2012 Southeast Trombone Symposium. He was winner of both the 2012 William T. Gower and USM Wind Ensemble concerto competitions. Currently, Mr. Watson is an active freelancer in the Nashville area and maintains a large private studio teaching talented low brass students of all ages. He also holds the position of Adjunct Lecturer in Music at The University of Southern Mississippi and serves as the bass trombonist with the Gulf Coast Symphony while performing regularly with several other area orchestras. Craig lives in Murfreesboro, TN with his lovely wife, Abigail, and two loveable dogs, Ima and Maggie.